fastjet, the pan-African low-cost airline, have today announced that fastjet Kenya has been granted an Air Service Licence (ASL) by the Kenya Civil Aviation Authority (KCAA). This development clears the way for fastjet Kenya to commence the application process for an Air Operator Certificate (AOC) which, once received, will allow the airline to operate domestic flights within Kenya. The AOC application process will involve an in depth review of fastjet Kenya’s planned safety management system, operational manuals and structures, its senior staff, fleet, maintenance facilities and technical capability. An early stage of the process includes agreeing a timetable for the application process with the KCAA. “The granting of the Kenya ASL is a major step forward in fastjet’s plans to become a truly pan-African low-cost airline,” says Ed Winter, fastjet’s Chief Executive Officer. “Following recently announced progress towards the Zambia AOC and the receipt of our AOC in Zimbabwe last week, today’s announcement signals a very substantial acceleration in the development of the fastjet network and our future growth plans. 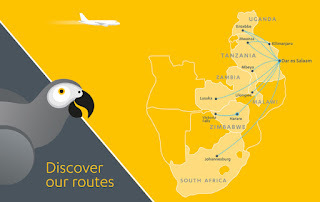 Fastjet Plc is a low-cost airline with ambition to Provide a pan-African service. Fastjet take aim to deliver the same service as its low-cost European counterparts to the African continent.